Rice cooked with coconut milk and Sambal chili on the side with crispy fried anchovies, roasted red skinned peanuts and boiled egg halves. It is the breakfast of kings and the most delicious of dishes – The beloved Malaysian Nasi Lemak. 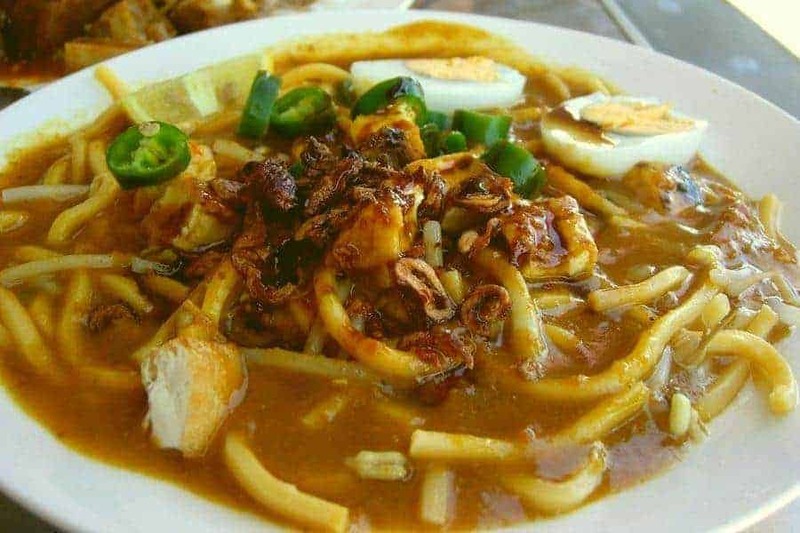 All Malaysians, tourists and Expats who have the luck to call Malaysia home adore this delicious and nutritious meal. It also has a history which is nearly as humble as its simple ingredients. 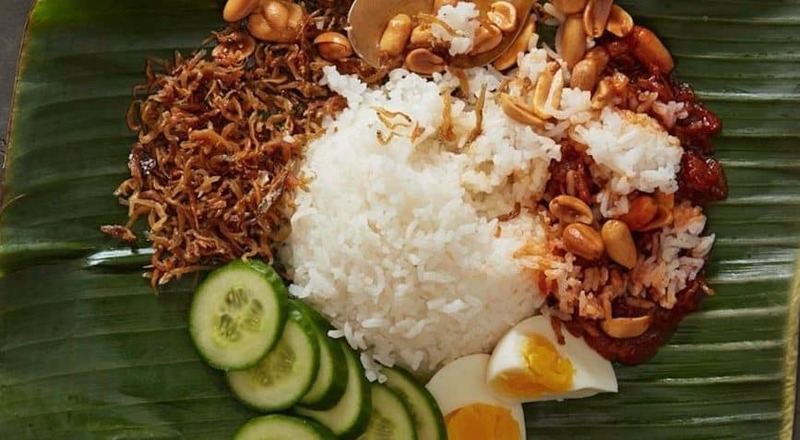 A Brief History Of Malaysian Nasi Lemak. 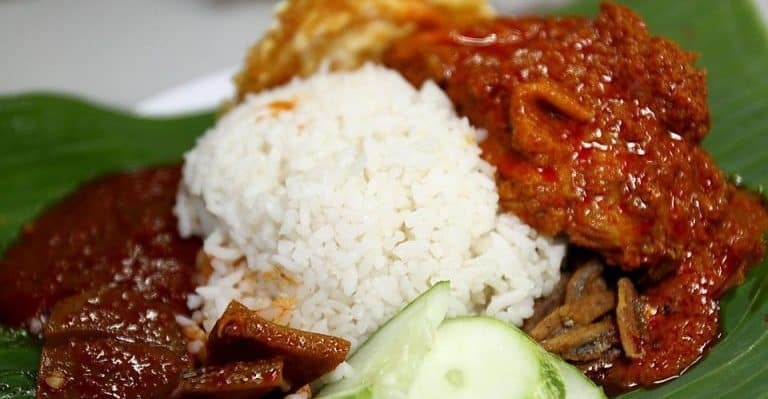 Malaysian Nasi Lemak began as a farmer’s meal. A pre-prepared, pre-packaged and filling dish was required for those long days in the fields. The rice provided carbohydrates, the peanuts, coconut, egg and anchovies added protein and essential oils with cucumber adding hydration. This provided workers with a near complete balanced diet. It was easy to make. It was easy to transport wrapped in simple Banana Leaf. This dish is adored because of its simple and local individual ingredients. Plain white rice steamed with coconut milk is the essential component. Coconut milk, or santan, provides the “lemak” of the dish hence the creaminess or richness. Often, cooks tend to add a little something extra to personalize the flavor of the rice. Garlic, ginger, lemongrass, or shallots are some of the additional flavors. Pandan is one ingredient that is essential in the preparation of Nasi Lemak. Therefore it is required to achieve the taste of the Malaysian Nasi Lemak. Liberally added to each plate is the Sambal. The sambal, spicy and sweet, is always as unique as its creator. Malaysians have a fondness for spices. This is due to their multicultural Asian heritage. More signature-worthy than the rice, this sambal, a crucial element to the Malaysian Nasi Lemak can range from a complementary sweetness to significant spiciness. The chili oils provide taste and therefore are a great flavor mix for the rice. The red amber glow of the oils mixed with the rice promises a taste sensation. These small side dish ingredients help to transform the Nasi Lemak package into a nutritionally balanced meal. Therefore the anchovies and egg are essential to the dish. Sold everywhere the Nasi Lemak is never far away. 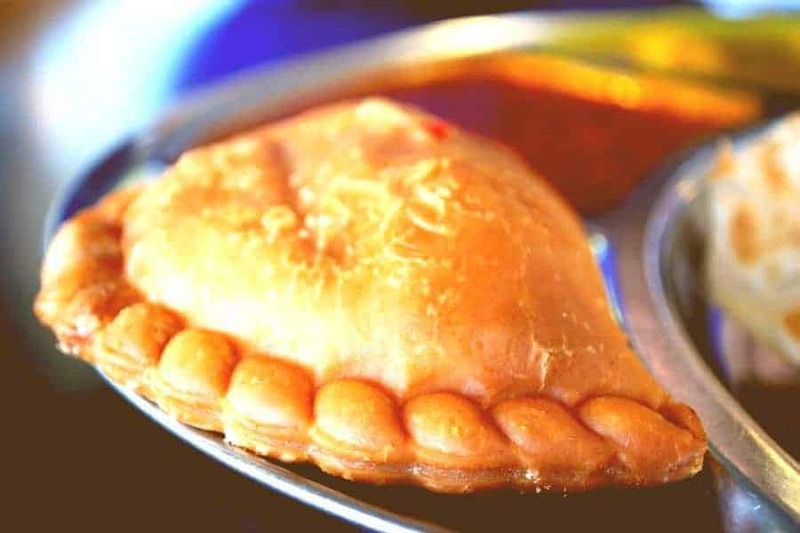 From the little roadside stalls found everywhere across Malaysia to the exclusive five-star restaurants that provide expansive buffets and east meets west fusion foods. The side dishes may vary, but the best add-ons include rendang, a spicy savory curry usually made with beef; fried chicken spiced and herbed specially; and veggie assortments of spinach or kangkung (water spinach). Whatever your preferred taste, as a result, the Malaysian Nasi Lemak is sure to impress with its understated flavors and humble charm. This Delicious Breakfast Dish Is Worthy Of Eating At Any Time And For Any Meal! Malaysian Nasi Lemak! Wash the rice, it will become cloudy, drain the water and repeat the process until the water remains clear. Place the rice in a large saucepan and add the salt, garlic, ginger, pandan leaves, coconut milk, and water. Bring to a boil over medium heat, then simmer, uncovered, until steam holes appear in the rice and the surface looks dry – about 10 minutes. Reduce the heat to low, cover with a tight-fitting lid, and cook, without stirring, until all the coconut milk is absorbed and the grains are tender and fluffy – about 20 minutes more. When the rice is done, discard the garlic, ginger, and pandan leaves and stir the rice. Heat the oil in a wok or saucepan over medium-low heat. When the oil shimmers, add the peanuts and cook until they turn brown – about 5 minutes. Transfer the peanuts with a slotted spoon to a paper towel to drain. Now carefully add the dried anchovies and fry until golden brown and crispy – about 7 minutes. Transfer the anchovies to a paper towel. Discard the oil. Set aside half of the anchovies to serve with rice and use the other half for the Sambal. Blend the sambal ulek, garlic, ginger, shallots, and ¼ cup water in a blender to a smooth paste. Heat the oil in a wok over medium heat. 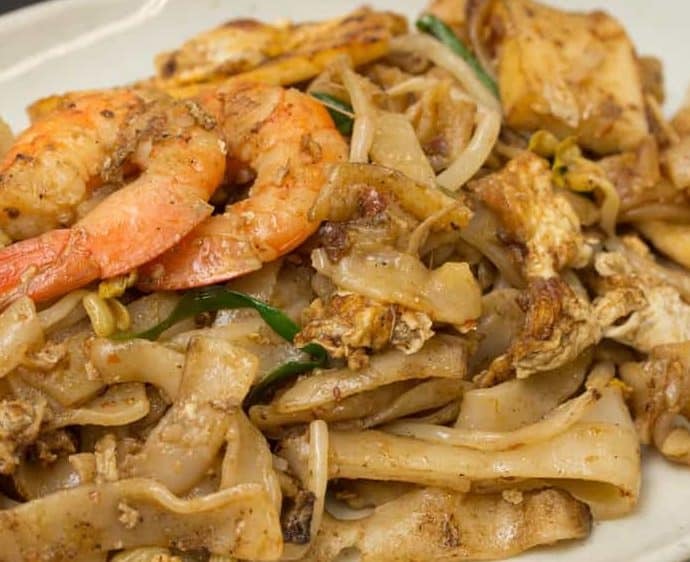 When the oil is hot, add the sambal paste, salt, and sugar and stir-fry until fragrant and the oils separate onto the surface – about 10 minutes. Add the onion and cook until the onion is soft – about 5 minutes. Add the tamarind water and remaining ½ cup water and mix well to combine with the paste. Add half the crispy anchovies and allow to cook for 5 minutes. you want a balanced sweet-salty taste. Line each diner’s plate with a banana leaf. Put about 3 tablespoons of the Anchovy Sambal on top of the rice. Place a few sliced cucumbers, 2 halves hard-boiled egg and 1 tablespoon each of the peanuts and fried anchovies around the rice.